BBC NEWS | UK | Should troops leave Afghanistan? 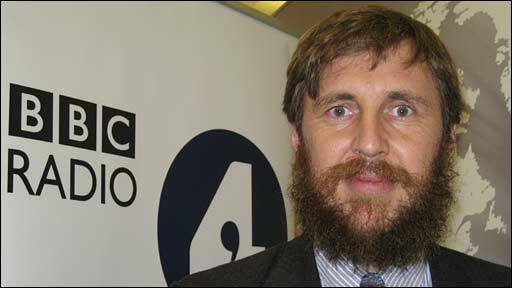 As part of BBC Radio 4's In Afghanistan season, Eddie Mair chairs a debate on whether the UK should pull its troops out of the country. To accompany the programme, ICM asked a random sample of 1,013 adults whether or not Britain should withdraw its armed forces from Afghanistan within the next 12 months. More than two-thirds (68%) of those questioned said the UK should pull its soldiers out during the next year. Less than a quarter (24%) said they believed the troops should remain. 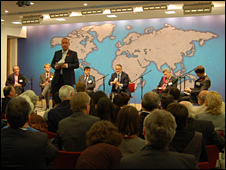 A number of programme panellists and audience members gave their reaction to the survey, and discussed the impact US President-elect Barack Obama could have on US policy towards Afghanistan. 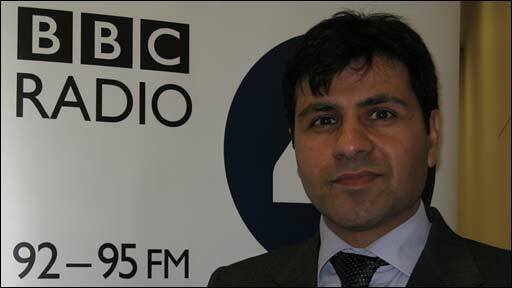 Farid Popal is first secretary for political affairs and public diplomacy at the Embassy of Afghanistan in London. He believes it is essential that the UK forces remain in the region. The Afghans do not want your troops to stay there forever. We just need your presence until our security forces are capable of securing their own territories, and other major development projects such as the Kajaki dam have been accomplished. While your poll suggests that troops should come home, think about the devastation that it will bring to the local Afghans and think about the consequences of security for the rest of the international community. After all, the events of 7/7 and 9/11 were all in some way connected to the militants and Taleban in Afghanistan, and it is very important to know that there are foreign nationals in Afghanistan trying to destabilise the country. There are no exact statistics but Afghanistan is a country of somewhere around 30 million people. I think we only have been able to train 50,000 or so in the army - that's not enough for that size of country with that kind of terrain. The police and the law enforcement agencies have to be trained. The legal system and roads have to be built. So we do need the presence of the international troops including British troops to continue to take care of our security challenges that we have on the ground. 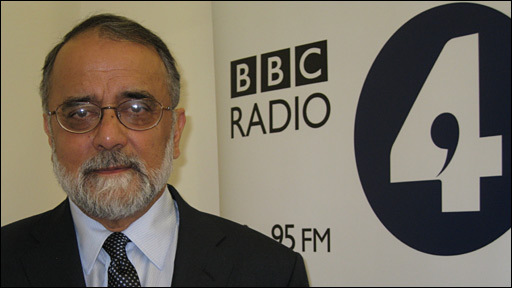 Pakistani writer and journalist Ahmed Rashid is one of the most respected commentators on the region. He argues withdrawal would be a betrayal of the Afghan people. I certainly don't think Britain should pull its troops out of Afghanistan. I think it will be hugely detrimental to Britain, to Nato, to the Western alliance, a betrayal of the Afghan people. And it would lead to possibly a collapse of the government and a Taleban takeover in Kabul, which would spell much more terrorism, drugs and all the other evils that the Western alliance has been trying to stamp out in Afghanistan. I think most European governments have made a mistake by not acknowledging the bungling that has gone on in the last five years during their deployment in Afghanistan. I think Britain is to blame for a lot of the deterioration in Helmand because it has not had a good enough strategy to deal with drugs, to deal with the Taleban, to deal with reconstruction. I'm very optimistic about the new US president Barack Obama because I've been meeting the Obama team and the US military and British officials, and I think everyone recognises the need for a new policy, new strategic objectives and more activity from the Afghan government and President Karzi. I hope in the next few months this will come together, and we may see a genuine change of policy. 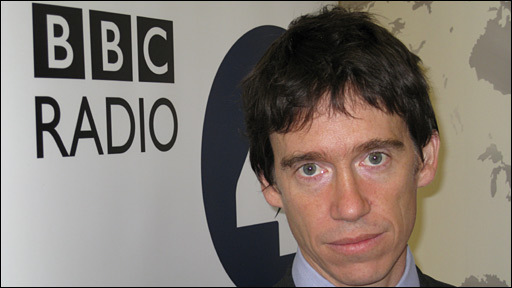 Former diplomat Rory Stewart now runs the Turquoise Mountain Foundation in Kabul. He believes the UK must reduce the number of troops it has in Afghanistan. We need to reduce the number of troops in Afghanistan. I think we have too many there. We're trying to do more than we can possibly do, but I don't believe we should leave entirely. The secret is to get the balance right. We need a light presence, which should be there for 20 or 30 years. Senator Obama has said that he wants to increase the number of troops by three combat brigades; this is part of his whole explanation for why he's getting out of Iraq. He's saying the US is going to draw down in Iraq and put more resources into Afghanistan: "We're going to beat the Taleban, we're going to beat al-Qaeda." This seems to me mistaken - it's a dangerous idea. I don't believe three more combat brigades will make an enormous difference. I don't believe he's going to be able to achieve the kinds of victories he's talking about. We do not have in Afghanistan the equivalent of the kind of tribal groups that we were working with in Iraq. We don't have that kind of centrally organised, willing partnership with tribal groups, which allowed us to take on al-Qaeda in Iraq. It would be very, very dangerous to try to apply the lessons of Iraq too crudely to Afghanistan. 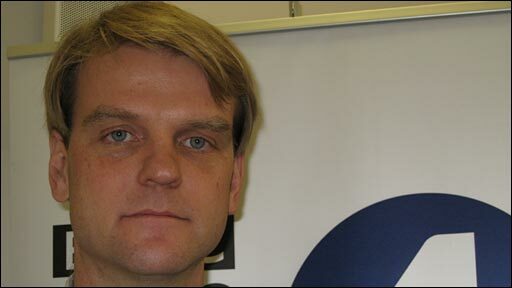 Chris Alexander, UN special envoy in Kabul, insists Britain has a moral obligation to continue the valuable work already under way in the country. We've achieved a lot, Afghans have achieved at lot over six years. That needs to be protected and built upon. It's actually not going as badly as many people would have us believe. The conflict isn't anywhere close to as intense as other insurgencies the community of nations has faced in the world. It's certainly not in the league of Iraq at its worst, and the military and political solutions are at hand. We can conduct effective counter-insurgency actually led by the Afghans, with our international troops more and more in supporting roles. The UK is not alone. Commitment to Afghanistan actually isn't even very controversial internationally. It enjoys support at the Security Council. The International Security Assistance Force (ISAF) and United Nations Assistance Mission in Afghanistan (UNAMA) mandates are renewed every year. Over 40 countries have troops there in tough roles, more than 10 of them in the south in combat roles and there are over 60 countries giving development assistance. That's a third of the countries of the world. It would be inconceivable for the leading countries of the world not to be supporting this effort and in many cases not to be participating centrally. That's what Afghans think, and I think that's the view inside the UN and the international community more broadly. Michael Semple has worked in Afghanistan and Pakistan in a variety of humanitarian and political roles for more than 20 years. He hopes the election of US President-elect Barack Obama could signal a radical shift in policy towards the region. Ultimately the security of Afghanistan has got to be in the hands of the Afghans. The only rationale for the presence of British troops is if they are contributing to as rapid as possible development of the political and security conditions whereby the Afghans can be in charge of their own security and the British troops can be on their own way home. It means that the build up of the Afghan security forces has got to be pursued within a credible timetable, It requires the Afghan government to build up the civil administration so it can deliver many conditions of security. That's something that's got to be done within a credible timetable. It also requires a credible political process of engagement with those elements of the armed opposition - basically the Taleban - who are amenable to accommodation, to reconciliation. That's got to be pursued coherently, robustly, urgently, in a way that it delivers. Many of these things are ideas which have been there on the agenda for a long time, subscribed to by some of the actors but never actually pursued coherently. Now's the time that we have to be seen to be delivering on those and if we are not delivering those and if the Afghan administration is not delivering on its part of those processes, then it will undermine the efficacy of the presence of the British troops in Afghanistan. 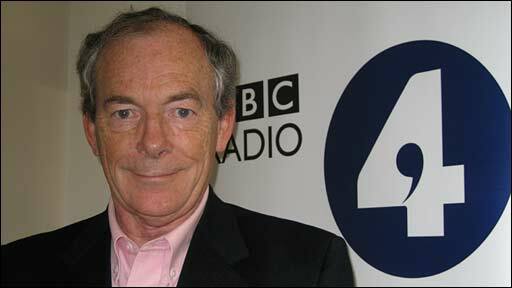 Guardian columnist Simon Jenkins has become one of Britain's most prominent advocates of troop withdrawal. He believes it is imperative that Britain withdraws its soldiers in the next 12 months. Britain should pull their troops out of Afghanistan very soon. British soldiers are dying and British taxpayers are spending an awful lot of money on them dying. There is no good reason for this war any more. We went there to punish the Taleban, to capture Osama Bin Laden. We failed to capture Osama Bin Laden, we failed to punish the Taleban - we should leave. The government has never received a popular mandate for this war in any realistic sense. It was done at the bidding of the Americans. Barack Obama wants more troops to go to Afghanistan. I don't think he's got a handle on this at all. He wants to sound macho - this is a place in which he thinks we're doing good. This is not the case. The security situation is getting worse not better. More troops would just mean more troops killed. We will get out of Afghanistan eventually. I just hate to think how many more people will die before we do. 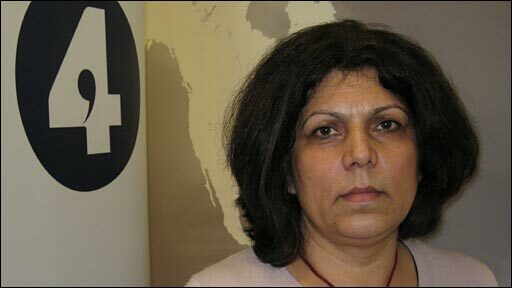 Zarghona Rassa is the founder and chair of the British Afghan Women's Society. She argues passionately that the Afghan people must not be abandoned by the international community. As a British Afghan, my heart goes to people from both sides that are killed in this war - British troops or Afghans. But people need to become more aware of international politics. Imagine if the British troops came out of Afghanistan tomorrow. Would it solve the problem of British society or would it solve the problem of international terrorism? If we want to destroy a building, it can happen in one minute. But if we want to put things right that have been going wrong for 30 years, we cannot build the same Afghanistan with even 10 or 50 years. Women are witnessing the progress that is being made with the support of the international community in Afghanistan with education, with employment, with health, with the media. But there are still problems with human rights, governance, corruption and the justice system. So more work is needed for this and one cannot fight corruption or injustice unless people are safe in the country. So security and the rest of the work should go in parallel. In Afghanistan: Should We Bring Home the Troops? was broadcast on BBC Radio 4 on Thursday, 13 November, at 2000 GMT. You can listen via the BBC iPlayer.